The CITGO Crawford was charging along in fourth place at Daytona last year, until an accident (contact with a Porsche) with Milka Duno at the wheel eliminated the car shortly before dawn. 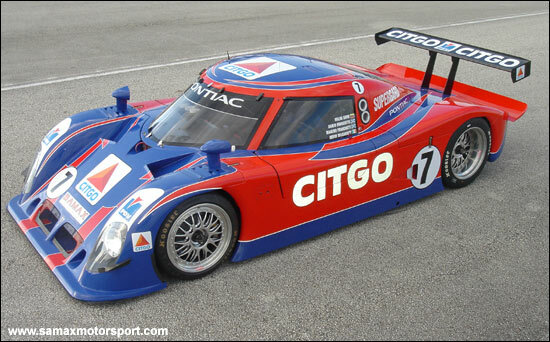 2005 always looked like the end of the CITGO – Crawford alliance, but for the 2006 Rolex 24, the Peter Baron / SAMAX Riley carries the colours of the Venezuelan oil company, as Milka Duno returns to the 24 Hours, partnered by two of her 2005 Rolex partners (the Franchitti brothers), plus Kevin McGarrity. With Milka’s Pontiac (South America) connections, the Riley is necessarily Pontiac-powered (as it was anyway last year). "Daytona is magical – the environment, the people, the fun – and the Daytona 24-hour is an amazing race," Duno said. "I'm very happy to race again with Dario and Marino because we raced last year and I learned so much from them. We'll return with Kevin for a podium this year!" 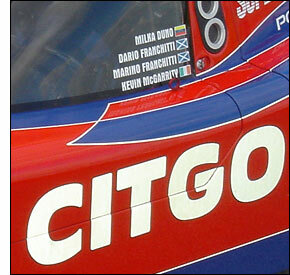 “We were so competitive last year; we were fast enough to win the race,” added Marino Franchitti. “It's something to build on again for this year. I think it's going to be even more competitive – the level just keeps going up – but we've certainly got the car and the drivers to do it, so we'll try our best." Dario Franchitti, a 14 time IRL winner, is about to make his second appearance at the Rolex 24, while Kevin McGarrity has recently struggled to find good drives, but excelled in the factory MG EX257s at Le Mans. He’s making his Rolex 24 debut. "It is an added bonus to have my good friend Kevin McGarrity on the team this year,” said Dario. “I think we will have a lot of fun, but ultimately we are here to try and win some watches!" The Franchittis and Dan Wheldon were preparing to take the CITGO Crawford to the flag last year, just after the point when the car was eliminated from the race. They’ll be looking to go all the way in under a month’s time. Testing starts at Daytona tomorrow. The full test days entry will become apparent later today.